The United States was represented with 13 people in the delegation this year, including 9 athletes and 4 officials. Overall, we had a great showing, as the quality and competitiveness of American sambo is continuing to improve. 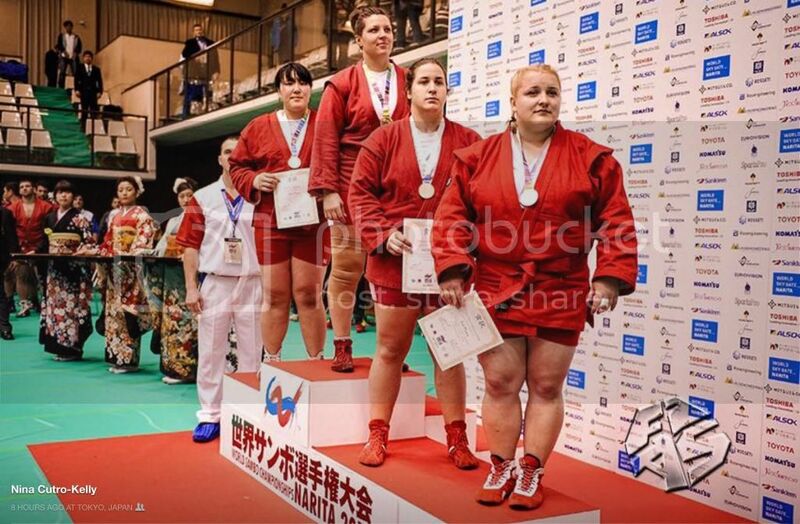 Nina Cutro-Kelly medaled in womens’ 80+kg yet again, as well. After losing a very, very close match to the Japanese player that she beat at the Kharlampiev earlier this year, she won two matches with armlocks to place third overall. A big thank you goes out to FIAS, the other delegations, and all of our American athletes. USA Sambo, Inc. is proud to have been a part of such a huge event, yet again.